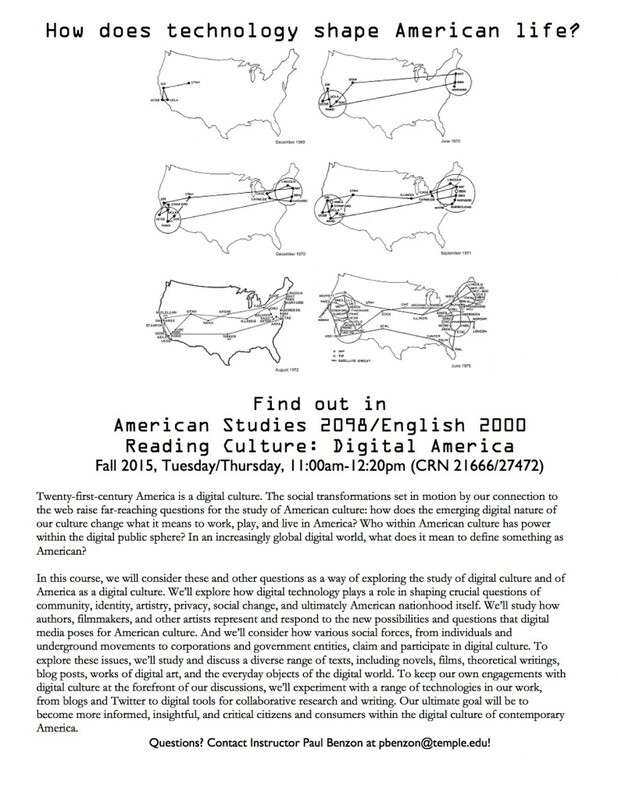 I’m excited to be teaching a new course this coming fall, crosslisted in American Studies and English — Reading Culture: Digital America. This should be a great chance to explore some current cultural and technological issues in the classroom, and to play with some digital tools as part of our work! I’ll post more as the fall gets closer — in the meantime, here’s a flyer with the course description and information. Any interested students are welcome to sign up or contact me with questions at pbenzon at temple dot edu! Objects of Global Media: An MLA 2016 Call for Papers Media-N Is Out!